"Only one promotion per trip"
"Promotions can be transferred to friends and family"
"All promotion are good or one year"
"Using Promotion when booking may depend on availability"
"100% sturgeon guarantee is only valid for eight hour trips from sept 1 to nov 15"
"Proof of promotion needed when booking"
"Promotions are only good for regular rates"
Are You Ready To Begin Your Fishing Adventure? Ready To Catch Monster Size Fish! Funky's Fishing Adventures offer fully guided sturgeon and salmon fishing charters and tours in the local Vancouver area. We're located in Maple Ridge, B.C and right next door to some of the most majestic waters. Join us for an adventure on some of British Columbia's finest fishing lakes and rivers. 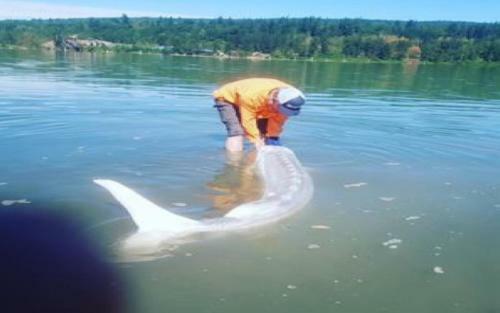 Luckily for us living in the Lower Mainland, Vancouver waters are filled with all five different species of Pacific Salmon and the famous White Sturgeons. At Funky's Fishing we ensure that our equipment and bait is top quality and most suitable for fishing the rivers and lakes nearby. We're also fully equipped with a river boat that has a heated inside for cold and rainy days. We offer many different types of packages that offer 6 to 10 hours of fishing, we offer tours of the local rivers and lakes such as the Fraser River, and we have overnight fishing trips, if you have any question just ask our owner Rick Funk! Our company is most notable for the outstanding service and services we continue to provide to our existing and future customers. You can feel safe and comfortable on all of our guided fishing trips because of our reliable team. Fishing with us is a fun and exciting experience without the stress and worries of having to plan a fishing trip. On all of our fishing trips our fishing guides bring all of the supplies you will need in order to fish for the day. The only thing you will need you to provide is snacks and drinks for whoever is apart of your group. 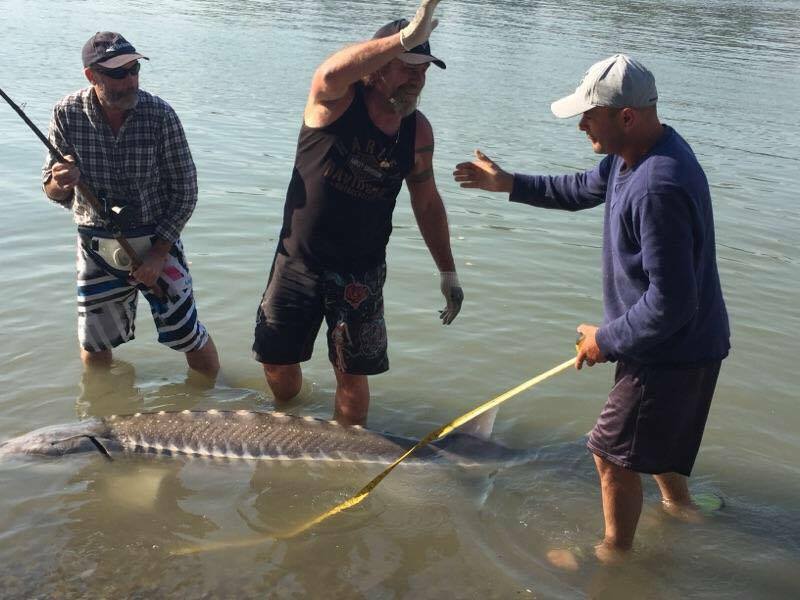 Book a trip with us to try and catch some world class sturgeon fish. Sturgeon fishing is something everyone must try at least once because of the amount of adrenaline the experience gives you. Just imagine trying to reel in a giant fish that could be larger then you! Fortunately for us we are located right beside some of the best places for you go fishing locally such as the Fraser River and Pitt Lake. Book your next fishing adventure with us and we will provide you with a memorable trip. 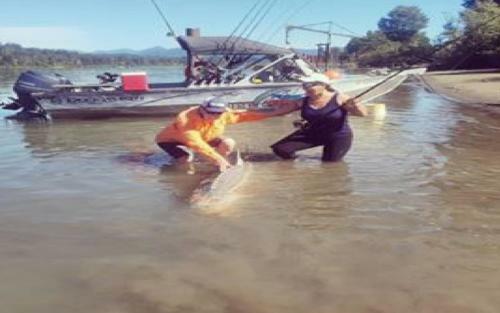 Funky Fishing Adventures, is a fishing guide company based out of Vancouver serving the local Lower Mainland areas, as well as guiding on the beautiful Fraser River, Pitt Lake & Upper Pitt River, Stave Lake, Harrison Lake and Harrison River. Not only do our fishing guides have significant amounts of passion for fishing but they will always leave you with memorable moments. Funky Fishing Adventures will exceed your expectations by offering you only the best sturgeon, salmon, trout, and steelheads that our BC waters have to offer. Our guided fishing trips are jam packed with action and adventure! Your designated fishing mentor will be sure to properly explain and teach you the correct techniques you will need in order to catch the various amounts of fish that you will encounter. Funky Fishing Adventure’s main objective is, that the customer at the end of the day is fully satisfied with their experience. We ensure this by allowing the customer to choose from multiple options so that their customizations suite their needs. We have a number of different options that customers may choose from that will add a bit of extra fun such as camping on the river. We also offer special customized trips that we can plan together. Where we you can choose which specific fish you would like to catch whether it’s the traditional salmon or everyone’s dream of catching a trophy sturgeon. Funky Fishing Adventures, is the ideal company you would plan your next fishing trip with. Whether it be for a birthday, bachelor party, a team building exercise, or special occasion we promise that you will be left with a memorable experience on any of our trips. Our rates are very competitive and always include free excellent customer service and the relief of feeling no pressure once you’re out on the waters.